Polish Sociological Association is a scientific and professional organization of Polishsociologists. Operates under the Law on Associations of 1989 and the Statute, as amended. PTS statutory objectives include encouraging the development of sociology, the dissemination of sociological knowledge, development of sociologists, promoting of professional ethics, and representing the interests of Association members in their professional and scientific activities (§ 9). The PSA may include persons who have completed their sociological studies or related disciplines and other persons, if they have some achievements in the field of sociology. Those only interested in the sociology and students can become associate members. PSA consists mainly of sociologists who work in universities, Polish Academy of Sciences and other research institutions. Most of the members coming from outside the academic institutions are opinion and market researchers and social workers. PSA finances its activities from membership fees, income comes also from own Research Department, the Committee for Scientific Research grants, universities’ institutes of sociology and private sponsors. Polish Sociological Association is the second in the history of the discipline in Poland by that name. The first wasestablished from the initiative of Florian Znaniecki on the First Conference of Polish Sociologists in Poznan in 1931 and was one of the earliest sociological associations in Europe. The Warsaw office of the association was established, and the President of the PSA become professor Ludwik Krzywicki. Previously, since 1927 work, The Polish Institute of Sociology In Poznań, also created by Znaniecki combined the tasks of a research institute with functions of scientific association. About PSA pre-war activities little is known, except for cooperation with the PIS in POznań in the organization of II Congress of Polish Sociologists in Warsaw in 1935. PSA existed until the a war. After the war not resumed operations, some of the functions realized PIS that was reactivated in 1944 (abolished in 1951, along with other sociological institutions). Current PTS was founded in 1957, its creation was an important fact in the process of rebirth of sociology after the collapse of Stalinism. 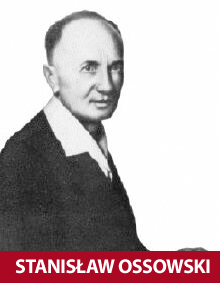 From the initiative of Stanislaw Ossowski and a group of sociologists from Warsaw and Lodz was founded Sociological Section in the Polish Philosophical Society in 1956. Section did accession to the International Sociological Association (ISA), and a year later evolved into a separate Polish Sociological Association. Prof. Ossowski wasa chairman of the board and the board members included: Nina Assorodobraj, Józef Chalasinski, Antonina Kłoskowska, JanLutyński, Stefan Nowak, Zygmunt Pen, Jan Strzelecki, Jan Szczepański. With the development of the sociology in Poland thenumber of members of PSA grew rapidly, an informal group of sociologists and sociology supporters in various citiescreated regional offices (Poznań 1959, Lodz and Warsaw 1960, Lublin 1961, Krakow and Wroclaw in 1963, Torun 1964), and researchers with common interests organized themselves in sections, first in the regional branches, and then on the national level. Within a few years were created the basic structure of the PSA. The organization has developed as a self-governing and autonomous organization of the sociological community and as its social authority. The activities of the Polish Sociological Association (1) supports the development of sociology, (2) integrates community of sociologists, represents its interests and opinion, (3) supports the development of the sociological profession.